Your choice for garage cabinets will depend largely on how you use your garage. Garages often become a catch-all mess of everyone’s sports gear, outdoor toys or tools. Taking back the garage with some strategic garage organization can declutter it and make it easier to access your things, park your car and enjoy your hobbies. Wooden cabinets can be costly depending on the type of wood used but are often a more attractive option over metal and plywood. Fiberboard and particleboard are considered wood cabinets along with oak and cherry. Wood materials like particleboard are often cheaper than regular wood but don’t last as long. Durability and cost of wooden cabinets will vary based on the wood product used. Plywood cabinets are considered more durable than fiberboard and particleboard. However, their durability pales in comparison to metal. They are still a good choice for things that are light like outdoor equipment or sports gear. Plywood can often handle rough use unlike some types of wood. Metal cabinets offer the most durability and are an excellent option for storing heavy equipment and tools. Cabinets made of metal are often more expensive than their wood and plywood counterparts. Mechanics and those using the garage as a workshop would benefit from using metal cabinets as part of their garage organization instead of plywood or wooden cabinets. The long-term cost benefits often outweigh the short-term investment. Choosing the right garage cabinet is highly dependent on your budget and how you plan to use them. For those using the storage for items without a lot of weight or are unwilling to spend a lot of money, plywood or wood cabinets would be a good option. Metal cabinets provide a durable option with more expense. 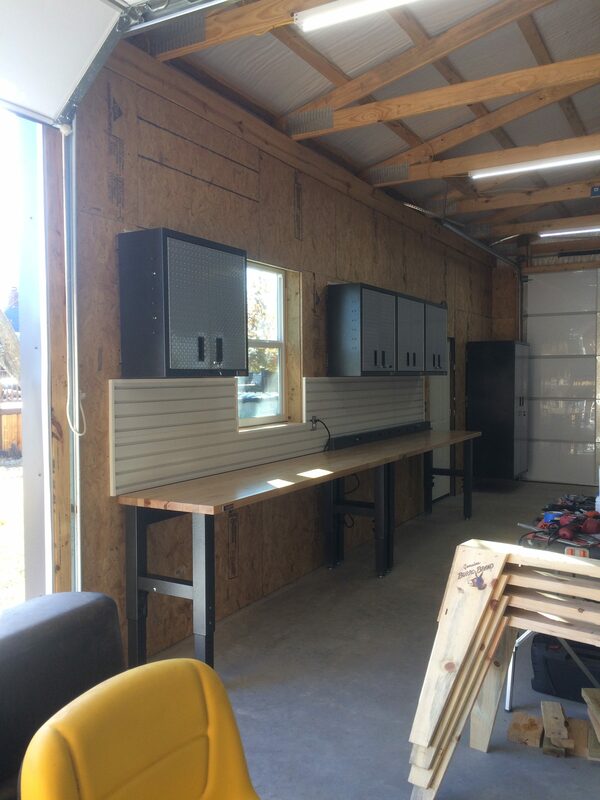 Garage organization provides an opportunity to store your items in an easy to find place for regular or intermittent access. Get the most out of your garage with garage cabinets.